The city’s municipal building houses it’s fire department and rescue squads, the police department and maintenance group. The roof was in two sections, but both were leaking. The area over the maintenance department had severe leaking in one corner and multiple “ponding” areas on the roof. The exterior façade of the building included a short sloped section of shingled roof across the front of the building and at one end. 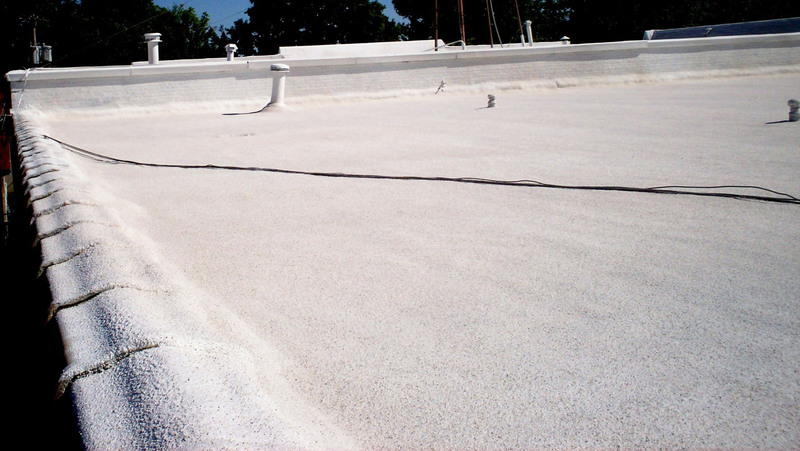 There was an expectation that some of the worst areas could require significant renovation to ever get rid of the “ponding” and resulting leaks. Appearance was a major concern since the building sits adjacent to city ball fields and, besides being a constant target for foul balls, is visible from the fields. The primary challenge was to find a way to fill very low spots in the roof to eliminate the deep “ponding” and resultant severe leaking in portions of the facility. 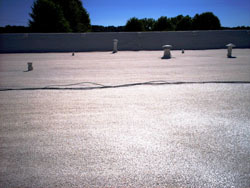 Second was to improve the overall appearance and durability of the roof. Third, the flashings, tile caps and shingled areas on perimeter walls were not in good shape, but the city wanted to avoid costly changes/repairs to them. Finally, like most cities, Ravenswood wanted to be judicious in their use of taxpayer money. 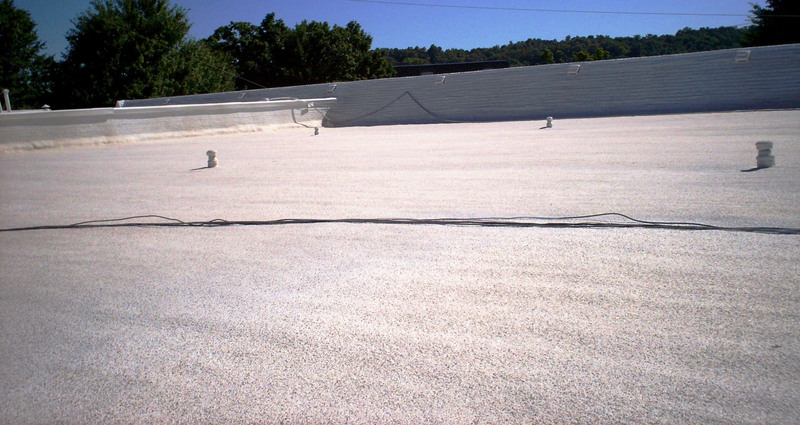 They were interested in a cost-effective choice that would not only meet their needs for waterproofing and appearance, but that would also give them long-life and require minimal maintenance. 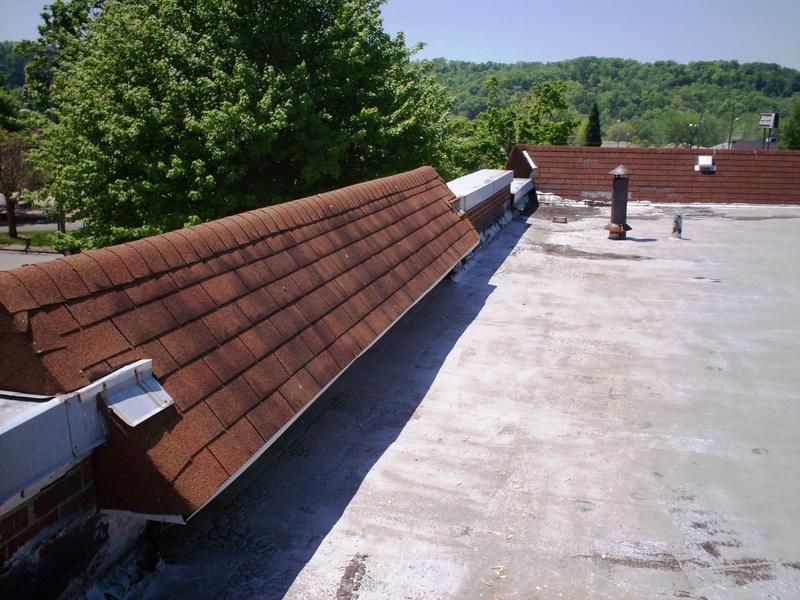 The roof was cleaned, loose and damaged flashings were repaired without replacing them, work was done on the existing drains to improve their efficiency and other prep work as needed to prepare for the new Spray Polyurethane Foam system. Low spots were filled and cants built into the corners and along parapet walls to improve drainage. 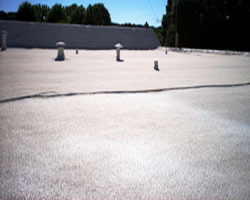 1 and ½” of Lapolla foam was applied over the entire roof. Shingled parapet walls were covered as were the tile caps and metal flashing areas. Two coats of Neogard Silicone coating were applied over the foam to protect from UV. 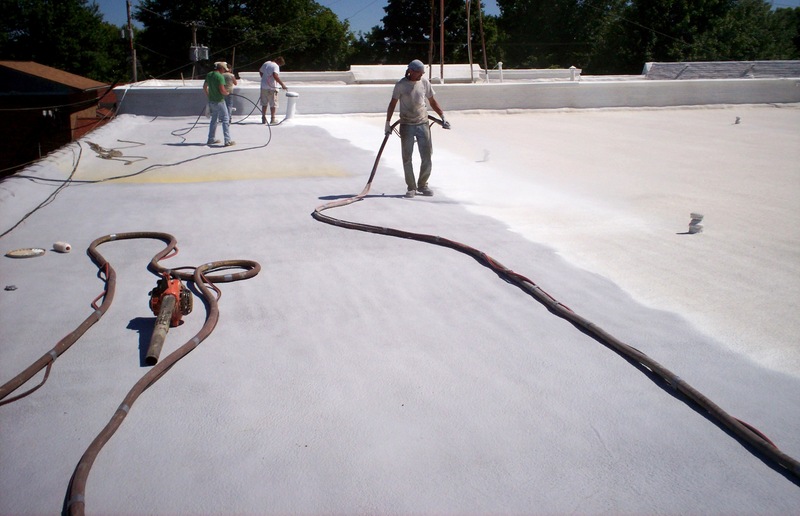 Sesco granules were embedded into the top coat to provide added durability, improve appearance and extend the life of the coatings. 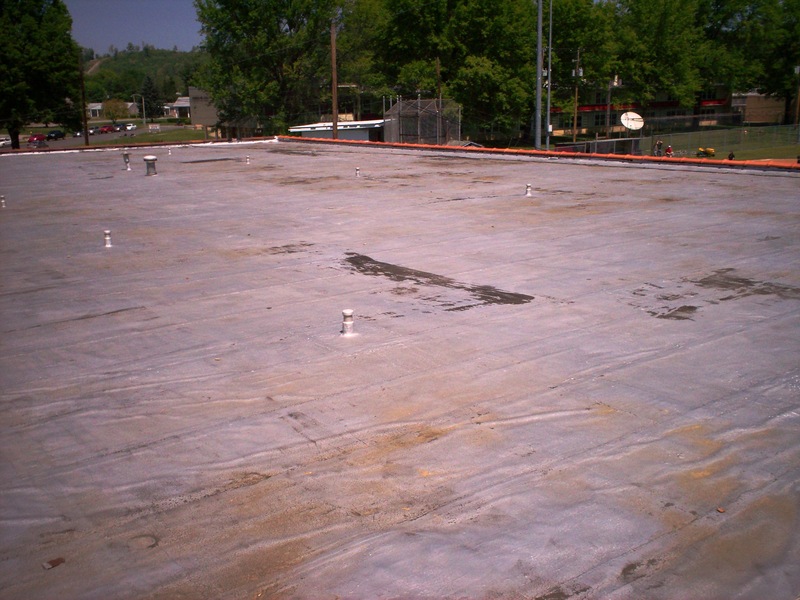 The roof system has been watertight without a single reported leak. 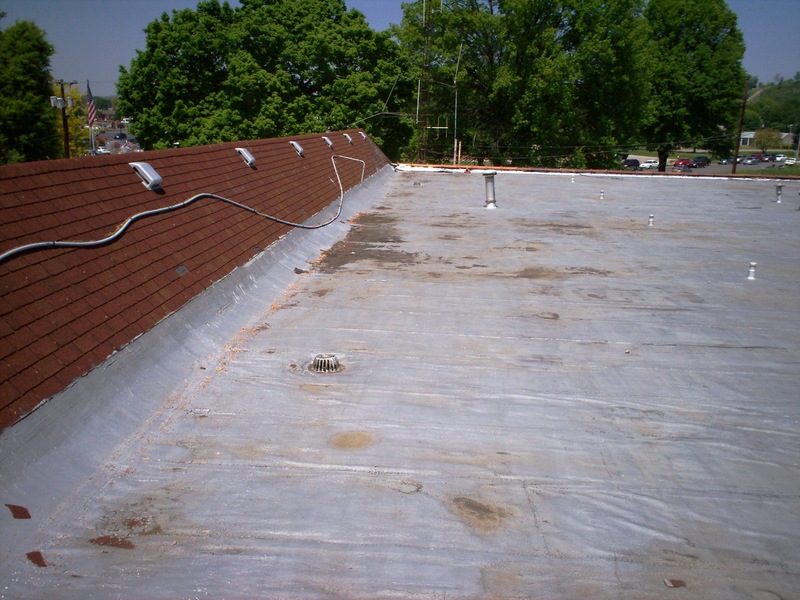 City officials are pleased with the appearance and increased durability of their roof and relieved that the challenges represented by the various parapet walls and coverings have all been handled with minimal expense to the city. They have yet to go through a winter, and while insulation value was not a critical part of their decision, they already see a difference in comfort level. Heaters that have historically run non-stop in cold weather are now cycling normally.